Last fall, I met Sarah of Sarah's Book Shelves for the first time (in real life, that is! ); surprisingly, we spent very little of our time discussing books but, when did speak of them, Sarah mentioned a book she'd recently added to her list, a late winter release called An American Marriage. I made a mental note. With most novels and stories that I enjoy in a deep down kind of way, a level of enjoyment that is tough to describe, there is a particular element which has resonated with me on a personal level; however, when I think of An American Marriage, there is no way to distinguish any one theme or character because I felt like I was inside the story from the very beginning. Jones's prose is completely captivating, the story powerfully compelling; I had no idea how quickly I would read through this novel but, once I began, I could not stop. Roy Hamilton and Celestial Davenport have been married for less than two years when Roy is convicted of a crime he did not commit, then sentenced to twelve years in prison. This novel is not about an unjust conviction, a prison sentence, or an affair; instead, it is about unspoken expectations, idealization and fearful wondering during extended absence, and our roles and responsibilities as individuals, sometimes spouses, to one another. Due to my own personal experiences with the subject matter, I feel confident in stating that this novel resonated with me more than it will with most readers; numerous passages have been highlighted and there were times when I had to put the book down, sit back, and reflect on what I'd read. 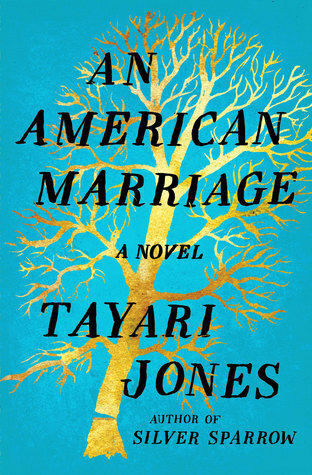 Having acknowledged a very personal connection, I must also admit that I will wholeheartedly recommend this one to nearly every reader I know; An American Marriage will likely become one of my favorite books of the year.